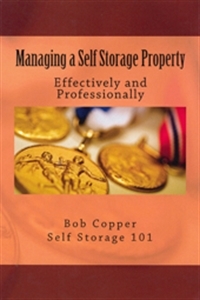 This book addresses the skills self-storage managers need to be successful: sales, collections and time management. Readers will learn to rent more space, collect more money and get it all done efficiently. Self-storage is a highly manager-centric business. There are few business models in which the success or failure of the business is so clearly and intricately intertwined with the manager's skills, personality, customer-service attitude and common sense. Professional self-storage managers need three primary skills to succeed: sales, collections and time management. In this book, our author discusses all three in detail, helping managers to succeed at the highest levels of performance. Readers will learn how to rent more space, collect more money and get it all done in an efficient manner through this comprehensive yet simple-to-understand book. To view the companion workbook for this product, click here. To purchase a combination package that contains this book as well as the workbook for a discounted price, click here.